Our product range includes a wide range of steel mezzanine floors. 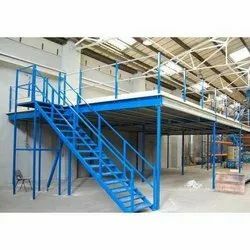 We are expert in manufacturing a vivid quality range of Steel Mezzanine Floor that is available in various shapes, sizes and models as per the purchaser’s provided conditions. Our mezzanine floor is available as per the international quality standards and we offer them at most reasonable prices. These are also available in different capacities and are designed and planned to find within an existing building and to locate with your existing floor plans and layouts which are highly demanded its corrosion resistance and best quality. Looking for Steel Mezzanine Floors ?